ODS AND COMPANY. 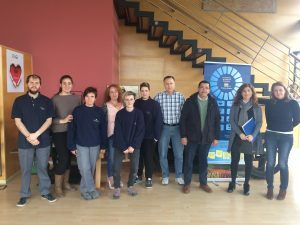 Business awareness project funded by the Government of La Rioja. Within awareness activities Cooperates develops a particular project oriented companies, its title “The ODS and the company Riojana”. We circumscribe our community to contact different companies and develop these activities on Sustainable Development Goals. 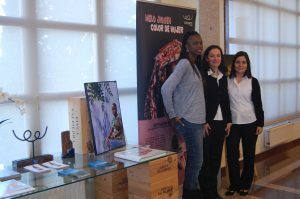 It is a project which is funded by the Government of La Rioja. This conference was held 25 May at the headquarters of the FER (C / Brothers Moroy 8 Achievement CHILD). We discover the ODS as a new business model, we talk about the benefits of CSR economically, branded, emotional and to connect with the community. 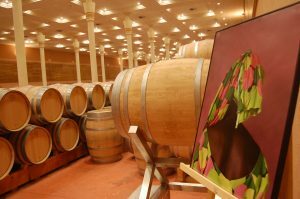 And we met the Case of Bodegas Viña Bujanda through its solidarity we could enjoy wine and taste together to put an end to this meeting. We detail what it was the day with links to download interesting content offered each of the speakers. If the topic interests you, we recommend reading. Presentation 1 -ODS: Keys to a new business model, towards sustainability as a positive influence for business and social success. Martha Liliana Ruiz. Motivating and consultation on CSR and Sustainable Development Goals. Download presentation here. Presentation 2 -COOPERATION AND COMPANY, CSR beyond donation. Economic benefits, brand impact and emotional value. Yolanda C Glauser. 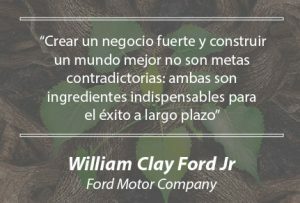 Strategic Marketing Consulting and CSR. Download presentation here. Presentation 3 -Why is it important that CSR a emprea is connected to your community? Sergi Pallares, Co Founder & CEO de Stock Crowd. Download presentation here. What they have to do business with these 17 goals set by United Nations? 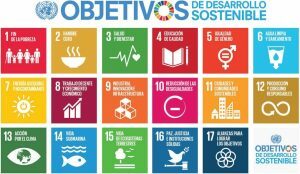 Sustainable Development Goals (ODS) identify the major challenges facing humanity and that will make the global agenda delpróximo century, among which are hunger, poverty, inequality, access to water, energy and climate change. Many times, companies have been partners of the extension or perpetuation of these problems in the world; in others, They are constituted as an economic engine that can contribute to its solution. Thus, the international community has called on the private sector to participate actively in achieving the objectives. The new global agenda that define the ODS has aroused great excitement among society. -companies institutions all inclusives type have already been put to work. According to a report by consultancy PwC (2015), made from a survey 986 companies around the world, A 71% of them already has figured out how to get involved in ODS and 41% states that incorporate these goals into its strategy for the next five years. International organizations and intersectoral alliances have made available numerous companies tools and platforms to facilitate the task of understanding and integrating ODS. But nevertheless, The novelty of these objectives, ambition and universal being an obstacle for many domestic enterprises or small and medium sized,that do not quite see how they are applied in their area of ​​activity. Companies can hardly define their strategy and develop the business without regard to ODS, that reflect the concerns of interest groups worldwide. With this project, and specifically with the day's Sustainable Development Goals (ODS) and the Company, we want to bring this issue to interested companies. We want to show what are the ODS, What role should occupy companies in their pursuit, how they can be implemented on the corporate agenda. We also discuss the advantages and trade-offs that have corporate social responsibility through these objectives. Different ways to collaborate and win all. 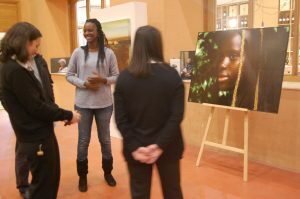 The project also develops leading exhibitions and talks to different companies riojanas. We have been in Finca Valpiedra and Graphics Santos Ochoa and we still have many companies to visit. If you want to visit your company contact us (info@cooperaong.org, T. 941237655). 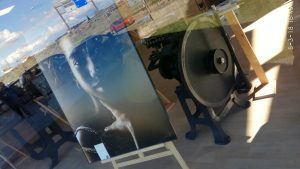 Images of the talks and exhibitions in Graphic Santos Ochoa and Finca Valpiedra.